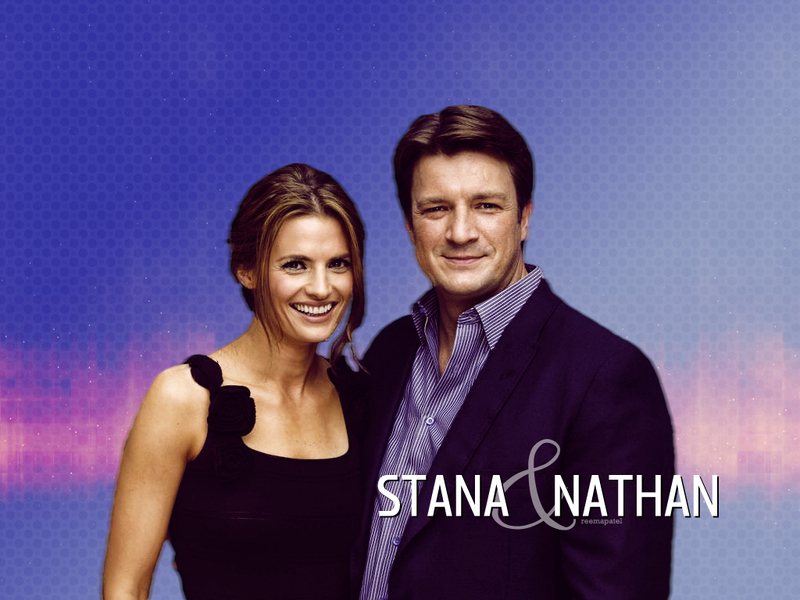 Nathan & Stana. . HD Wallpaper and background images in the istana, castle club tagged: castle stana katic nathan fillion stanathan hollywood foreign press association press conference 2011 wallpaper livejournal. This istana, castle wallpaper contains potret, headshot, closeup, and headshot closeup. There might also be berpakaian seorang, guaman, seluar guaman, pantsuit, orang baik berpakaian sut, and penekan seluar.